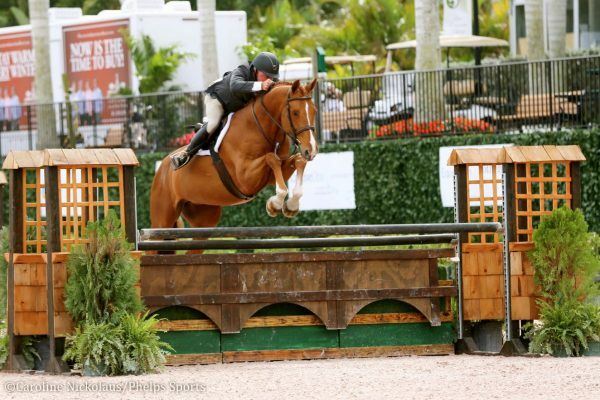 The second week of FTI WEF competition, sponsored by Wellington Equestrian Realty, will run January 16-20. 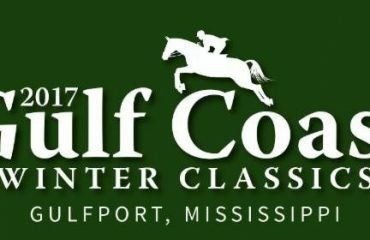 Highlight events include the $50,000 Wellington Equestrian Realty CSI2* Grand Prix on Saturday evening and the $25,000 Suncast® 1.50m Championship Jumper Series Classic on Sunday afternoon. 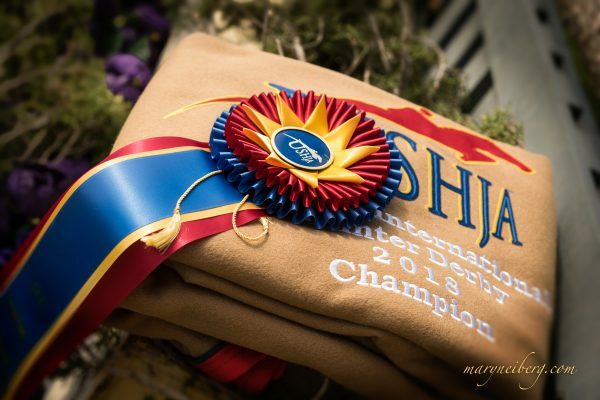 The 2013 FTI WEF runs through March 31 featuring 12 weeks of world-class competition. Luc Musette of Belgium is the course designer in the International Arena for week two. In Thursday’s $33,000 Ruby et Violette WEF Challenge Cup Round 2, Musette saw 57 entries in the first round of competition with 24 advancing to the jump-off. Only nine competitors were able to clear the short course without fault as they raced against the clock, and Laura Kraut and Jubilee d’Ouilly’s time of 35.57 seconds took top honors. Laura Kraut and Jubilee d’Ouilly. Photo © Sportfot. McLain Ward finished second and third with his mounts Rothchild and Zhum CW. Ward and Sagamore Farm’s Rothchild stopped the clock in 35.70 seconds to place second. Ward guided Zhum CW, owned by Ilan Ferder and Missy Clark, to third place in 36.22 seconds. Jubilee just got out of quarantine in Wellington on Monday and is off to a great start for the winter. Kraut is not sure how long she will have the ride, but plans to enjoy her time with the talented horse. Last to go in the jump-off, Kraut was able to watch McLain Ward go on his first mount and figure out a plan with Jubilee. Their times were extremely close. Laura Kraut and Jubilee d’Ouilly in their winning presentation with ringmaster Cliff Haines. 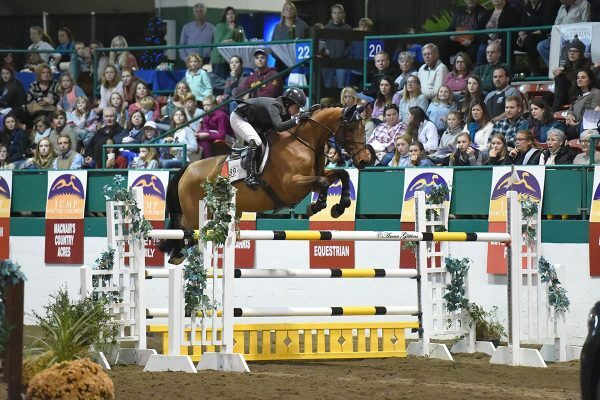 Also showing in the International Arena on Thursday, Katie Monahan-Prudent earned victory in the $8,000 G&C Farm 1.45m Jumper Classic aboard Michael Smith’s V. Out of 41 competitors and seven entries that made it to the jump-off, the pair had the fastest of six double clear rounds in 37.220 seconds. Andres Rodriguez and Arao Enterprises, LLC’s Aberdeen 33 finished second in 37.508 seconds. 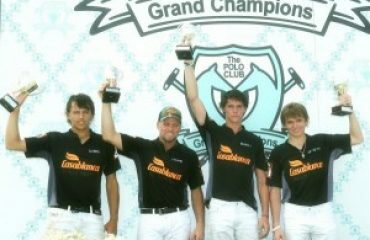 Ivory Coast and Peter Pletcher were named champions of the Second Year Green Working Hunter division after two days of competition at the FTI Consulting Winter Equestrian Festival (FTI WEF). Ivory Coast, owned by Eva Bisso, and Pletcher led the division after day one of competition when they placed third and sixth over fences before winning the under saddle. Ivory Coast and Pletcher picked up another blue ribbon, this time over fences, and placed sixth in the stake round on day two. Pletcher was also in the irons for the division’s reserve champion, Westbrooke, owned by Laurie Lewis. 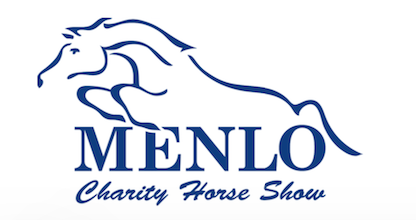 The eleven-year-old Warmblood gelding placed first and second over fences and fifth under saddle on day one, followed by fifth and fourth places over fences on day two. “As a duo, they’re night and day, but they’re both very game horses. I don’t ever worry about them spooking. It doesn’t matter what ring, when it is, they always give it their all,” Scott described of the winning pair. Pletcher found Ivory Coast last summer for owner Bisso, who was looking for a horse to compete with in Adult Hunter divisions. 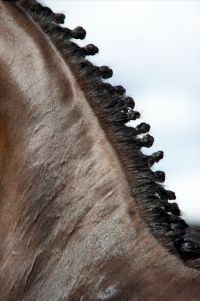 The eleven-year-old Trakehner won them over with his superior quality of movement and sweet personality. Peter Pletcher and Ivory Coast. Pletcher went on to describe Ivory Coast’s fluid movement as the gelding’s greatest strength in the ring. “He’s really smooth. He has a beautiful topline, and has such a beautiful way of going that if maybe he jumps one jump a little funnier, his topline is so pretty that it makes the jump look better,” Pletcher stated. Fortunately, Pletcher didn’t have to worry about any mistakes over fences during this division. Ivory Coast was undaunted by the course laid out by Philip J. Devita. “The course was really, really good. There were a lot of oxers in the class. There’s a lot of different stuff that some of the other horses might have spooked or been a little funny at, but he didn’t really care at all,” Pletcher stated. Week two of competition at the FTI WEF, sponsored by Wellington Equestrian Realty, continues Friday with the Camping World Adult Amateur Hunter 51 & Over (Section A), hosted in the E.R. 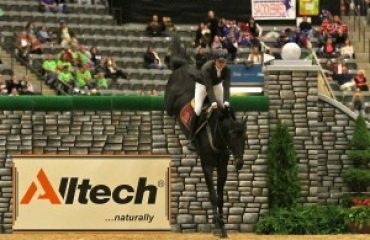 Mische Grand Hunter Arena and the $6,000 Spy Coast Farm 1.40m jump-off class in the International Arena. For full results, go towww.showgroundslive.com.